Florentino Perez is to blame for Cristiano Ronaldo's departure from Real Madrid, says the club's former president Ramon Calderon. Zinedine Zidane left Real Madrid after losing a power struggle with Florentino Perez over transfers, according to former club president Ramon Calderon. Zidane quit Madrid in the off-season, on the back of winning a third successive Champions League as Los Blancos boss. He was soon followed out of the Santiago Bernabeu exit door by Cristiano Ronaldo, who brought his nine-year stint at Madrid to an end in order to join Juventus. 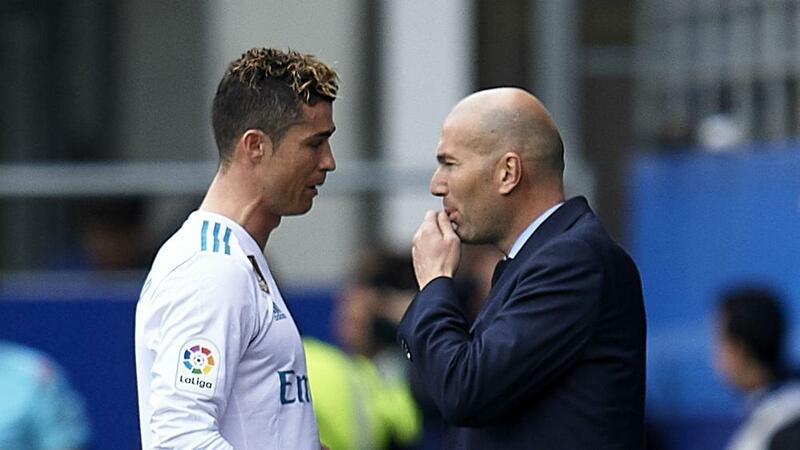 And Calderon has claimed that Zidane wanted Ronaldo to stay and instead sell Gareth Bale, adding that the reason the Frenchman left Madrid was down to current president Perez overseeing the club's transfer activity. "Zidane insisted on keeping Cristiano and selling Bale," Calderon told Spanish publication AS. "Perez did the opposite to what Zidane had asked. "[Zidane wanted] to have decision-making power when it came to signing some players and selling others, but his demands were not met, and so he decided to leave. And he was right,"
The departures of Zidane and Ronaldo have contributed to a turbulent season for Madrid, who sacked Julen Lopetegui just four months into his tenure, and sit fifth in LaLiga under current boss Santiago Solari, 10 points adrift of leaders Barcelona.